With just five weeks to go until the mandatory HMO licensing rules change across England, London Property Licensing is publishing the second of six weekly updates to raise awareness of the new licensing requirements and help landlords to prepare. In this second article, we explore the requirement to notify all interested parties that a mandatory HMO licence application is being submitted. Linked to this, the landlord must ensure they have consent to let their property as a licensed HMO. For landlords who own the freehold, have no outstanding mortgage and where there are no other interested parties, the application process will be more straight-forward. For everyone else, we would encourage you to read on and find out more. Landlords who have a leasehold interest in the property must notify the freeholder that a licence application is being submitted. It is important to check the terms of the lease to ensure that this mode of occupation is permitted and that permission to let has been obtained. Whilst some freeholders may grant permission for a single family let, you need to check if they permit use as a licensed HMO. Whilst this is unlikely to stop the licence application being approved, it could result in a leasehold dispute that is far more costly to resolve. Landlords who have a mortgage on the property must notify their lender that a licence application is being submitted. It is vital to ensure you have consent to let the property as a licensed HMO to avoid breaching the terms of your mortgage. Whilst some Buy to Let mortgage providers might grant permission for the property to be occupied by a group of friends on a single tenancy, that consent may be withdrawn if the property becomes a licensed HMO. Each and every lender adopts a different approach. If unsure, you may want to seek advice from a mortgage broker. The requirement to notify interested parties extends to the managing agent (if any), joint owners and anyone else with an interest in the property. Step 1: the applicant must sign a declaration on the form to say they have notified all interested parties that an application is being submitted. Step 2: the local authority is required to send a copy of the draft licence to all interested parties and invite their comments before they approve or refuse the application. Step 3: the local authority is required to send a copy of the licence approval or refusal decision to all interested parties. As part of our licence application handling service, London Property Licensing prepares notification forms for the applicant. 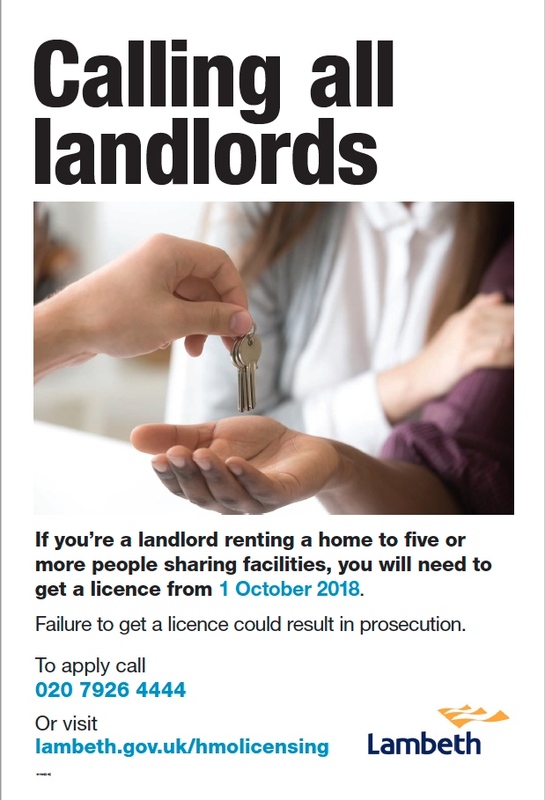 To help raise awareness about changes to mandatory HMO licensing, Lambeth Council have update the information on their website, issued a press release and will be displaying posters at prominent locations around the borough. Camden Council have told us they will soon be issuing a landlord newsletter to raise awareness. 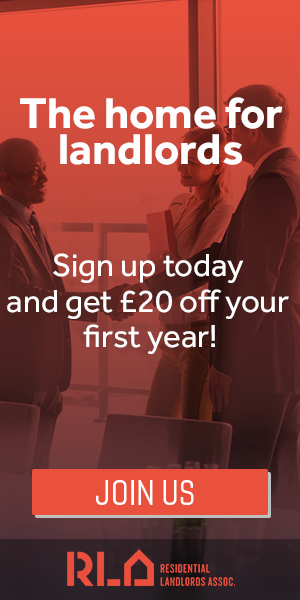 They have also said all landlords with an additional HMO licence that meet the new criteria will automatically be passported into the mandatory HMO licence scheme. Need help? Several companies that offer a licence application handling service in the London area can be found in our Landlord Suppliers Directory here. With demand running at a high level, anyone wanting applications prepared before 1 October is urged to act now to avoid disappointment. The directory also contains mortgage advisors and solictors than can assist with any queries. This is the second in a series of six weekly updates that are being published to help explain the changes to mandatory HMO licensing that come into force on 1 October 2018.